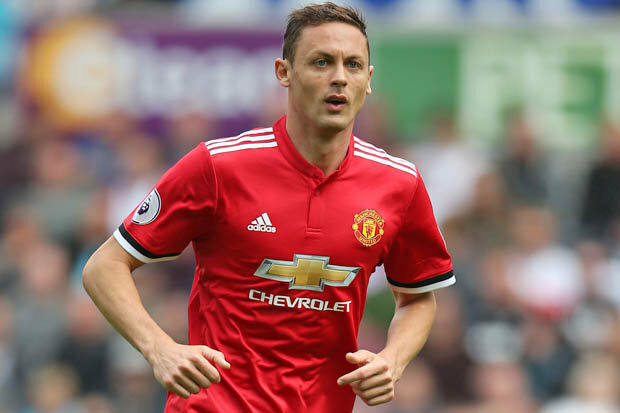 Manchester United midfielder, Nemanja Matic won’t rate his first season at the club a success even if the FA Cup is won by the club. The Serbian international joined the Red Devils in a surprise deal from Chelsea last summer and has quickly become one of the leaders in the team as he has Trophy-winning experience. Matic, who is fiercely ambitious as his manager believes a club with the stature of United should be challenging for the biggest trophies on offer, though the likelihood of that happening this season is getting ever slimmer. As it stands, the FA Cup represents the only chance of winning silverware this term as Manchester City are Premier League Champions-elect already, while The Red Devils crashed out of the Champions League to La Liga outfit, Sevilla in humiliating circumstances at Old Trafford. Jose Mourinho won the Community Shield, League Cup and Europa League last season but has only the FA Cup left this season to try and win, and Matic acknowledges that United should be doing better. Asked if he would consider this season successful if United won the FA Cup, Matic said after a pause: “I think no.“Because I always want to win more and more, but in the Premier League you have six or seven teams who want to win the league. “It is not possible to always win, but if we win the FA Cup it is good, but not perfect. “You have four competitions in the season, if you win one for me it is not enough, but you always have to do your best. “In the Premier League when you are in the first four this is not perfect but is good to play for the Champions League next season. “If you win the FA Cup I cannot say it is a successful season, but it’s a good season.” he added. Premier League rivals, Tottenham stand between United and a 2nd FA Cup Final appearance in three years, a game that will be difficult to navigate given that the North Londoners have called the national stadium home this term as their new stadium is being built on the site of the old White Hart Lane. Matic has helped the United midfield become more stabilized as his strength, calmness and passing help United get a greater control of matches.